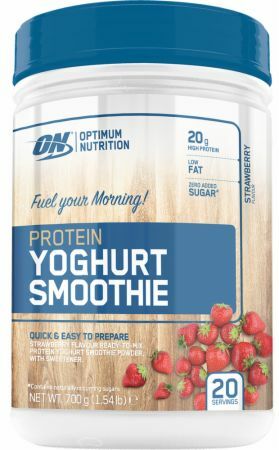 Optimum Nutrition Protein Yoghurt Smoothie at Bodybuilding.com - Best Prices on Protein Yoghurt Smoothie! The added yogurt powder makes it way more satisfying than a standard whey. However, the flavour is barely ok on its own, but adding some fruits and seeds makes it great. So overall, a great base for smoothie, but you shouldn't consider having it raw.